Graham + Sibbald has strengthened its leadership team with a raft of appointments as the chartered surveyor and property specialist targets record full-year revenues. The firm, which has 14 offices in Scotland and one in London, has promoted five associates to director roles across the Central Belt. 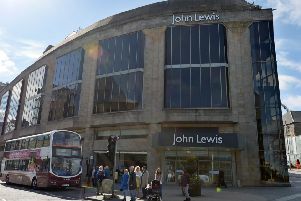 For the Glasgow office, these include planning and development team leader Kerri McGuire; property manager Claire Galbraith and Andy Thomson, who manages contracts relating to the firm’s refurbishment projects. Graeme Boyd and Fergus Mair, both members of the residential team in Edinburgh, have also been promoted to director level. The appointments aim to support Graham + Sibbald’s growth as it remains on track to achieve record annual revenues in this financial year. Senior partner Les McAndrew said the move reflects the firm’s commitment “to offering career development and progression” for its staff.